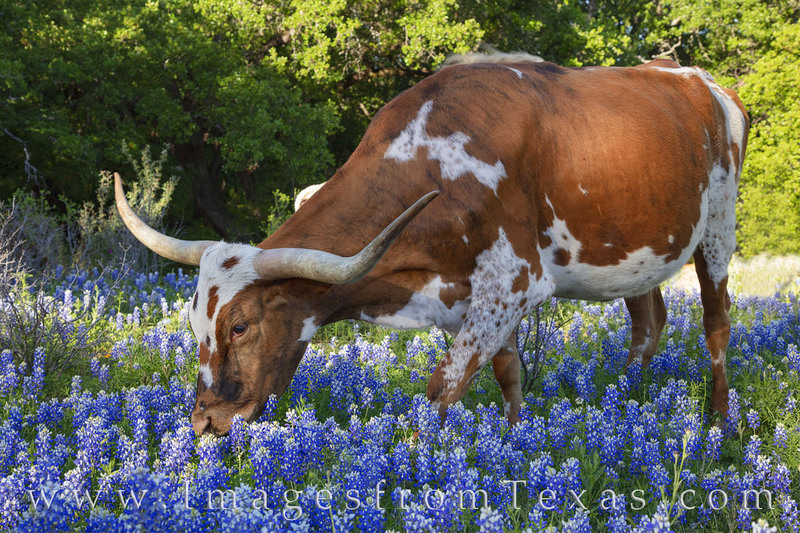 his longhorn was unperturbed by my presence as she grazed her way through the bluebonnets. I chanced upon this small group of longhorns while searching for bluebonnets on some of the backroads between Johnson City, Llano, and Marble Falls. On a less-traveled dirt road, much to my delight, these regal creatures did not seem to mind as I reeled off more than several photographs as they and their calves curiously watched me. Some of the calves even came to the fence for a head-scratching! Photo © copyright by Rob Greebon.